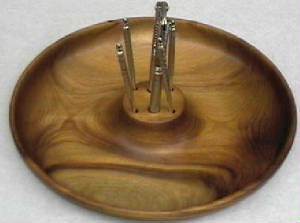 Nut Bowl w/Accessories includes 1 cracker and 4 pics. 2 x 9 inches. Wax finish only.